The Salvador parade is spicy and steamy Afro-Brazilian style, with Yoruba chanters, percussion groups and huge blocks of partiers dancing their way down the streets. The most famous block is the all-male “Filhos de Gandhy,” meaning Sons of Gandhi. They don’t drink alcohol, but they do have lots of groupies. Recife in the northeast is one of three cities that will host first-round US soccer matches this World Cup, and the city is gearing up to unveil its new stadium—and perennially fun-loving lifestyle—to an international audience. It is also the city that hosts the largest Carnival parade. 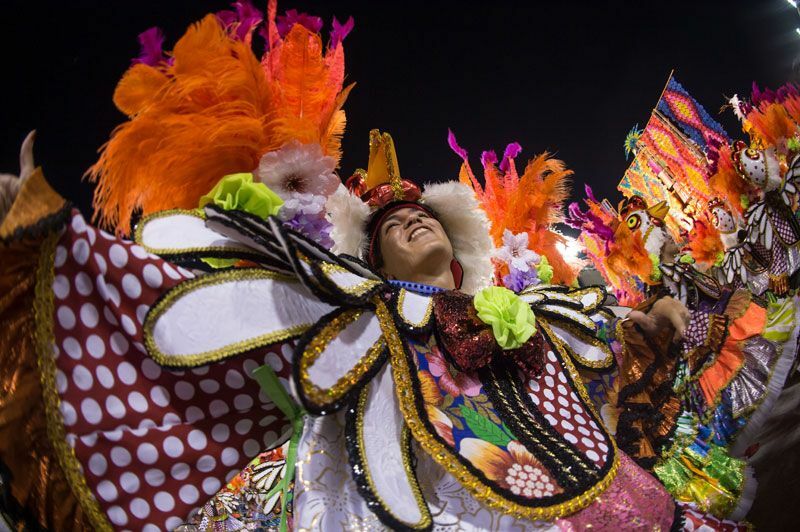 Similar to Rio, São Paulo has a competition between the city’s top samba schools that is held in Anhembi Sambadrome. People from the community participate in costume and float creations for the face-off. The parade attracts around 30,000 spectators each year. Rio is one of the most popular destinations for Carnival festivities. Move over, Miley, Brazil was booty-shaking way before twerking came around. Plus, the girls there do it better in feathers and sequined thongs.